For databases, resources, events, and new materials, please scroll down! There's lots going on at Punxsutawney Memorial Library! For easy access to the online catalog and your online account, please click the button below. To search the library's catalog and access your library account via a mobile device, click here. To share a comment about Punxsutawney Memorial Library (or any public library in Jefferson County), click HERE. Upcoming Events: Click HERE to view our April 2019 events calendar. Friday, April 19: The library will be closed in observance of Good Friday. Saturday, April 20: The library will close early at 3 p.m.
Monday, April 22: The library will be open regular hours. Browse the Resources tab for specialized databases and research tools. 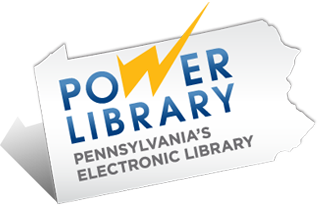 Power Library, Ask Here PA, and Access PA (Interlibrary Loan): These projects are made possible in part by Library Services and Technology Act (LSTA) funds from the U.S. Institute of Museum and Library Services and through Library Access Funds administered by the Office of Commonwealth Libraries, Department of Education, Commonwealth of Pennsylvania, Tom Wolf, Governor. New Additions: Click a cover and reserve it online! The Catastrophic Book Club meets the second Thursday of every month at 5 p.m. It's free and open to everyone. Click a book cover to reserve it online, or give us a call at ​(814) 938-5020. ​May 9, 2019 at 5 p.m.
June 13, 2019 at 5 p.m.